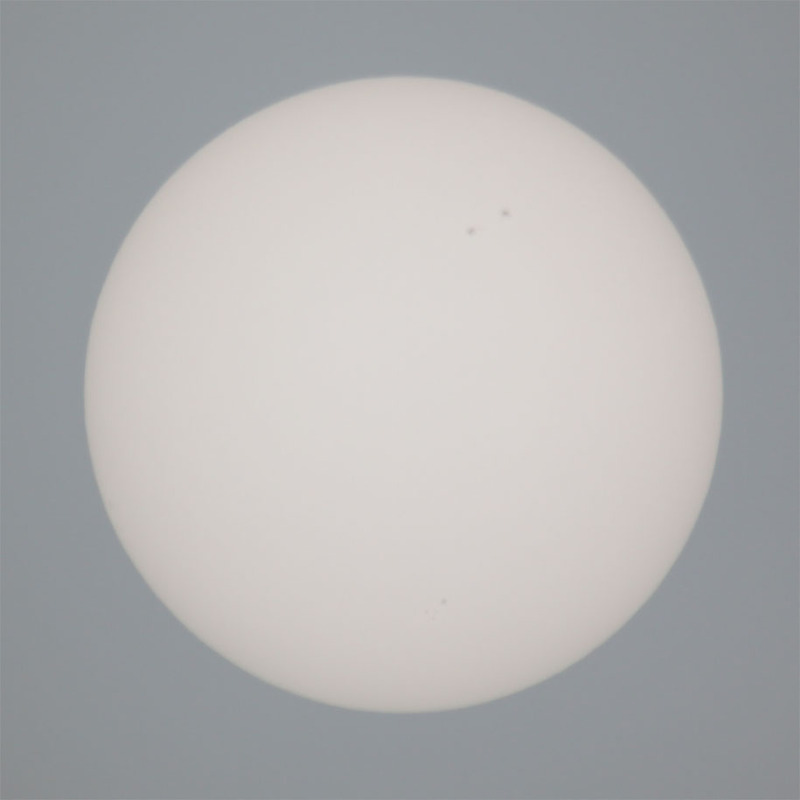 Malcolm Neal took this picture of the sun through hazy cloud on the morning of the 16th November 2010. Sunspot group 1124 is visible in the one o'clock position while group 1126 can just be seen near the six o'clock position. He used a Canon EOS 50D camera with a 500mm lens plus a 1.4 multiplier and then multiplied by 1.6 for the CCD size etc ending up around 1090mm focal length. The exposure was 1/4000th of a second at f/9 and ISO 100. Malcolm did not need to use any filters on account of the thick haze that morning. 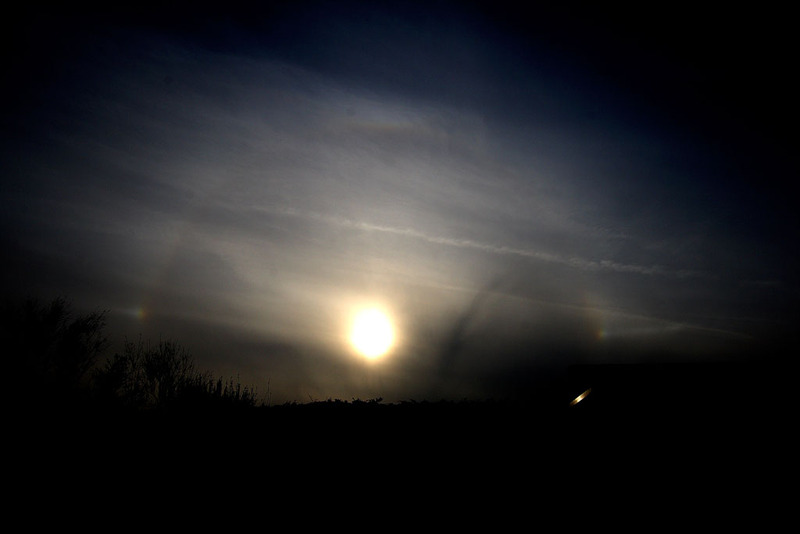 This image was taken on the 9th April 2010 by Chris Newsome and shows two sundogs and a circumzenthal arc (just visible vertically above the sun). Chris used a Canon 400D camera and a 10-22mm lens. 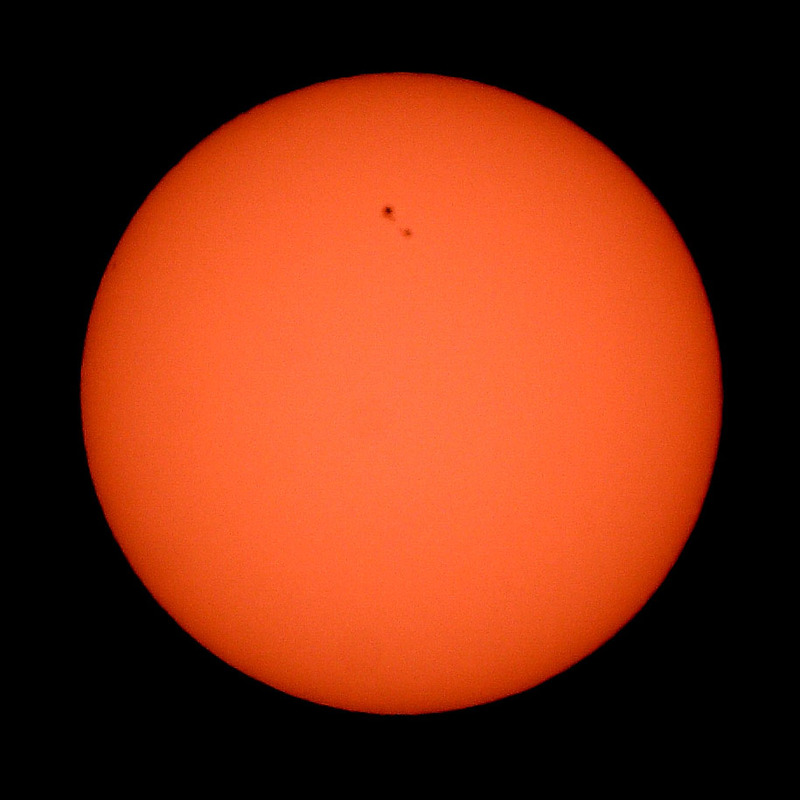 Chris Newsome captured this image of the Sun on the 27th March 2010. The sun is getting more active and this picture shows sunspot 1057 in the twelve o'clock position. Sunspot 1059 is right on the limb at the ten o'clock position. Chris used a Canon 20D camera with a Skywatcher 102T telescope. The exposure was 1/320th second at 100ASA and the image was processed in CS2.